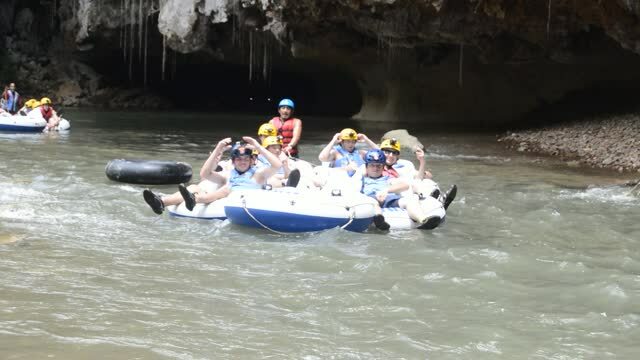 Float through a series of caves with many formations, fed by natural springs, our mature guides, well trained in Natural History, Local Culture, Flora, Fauna, Swift Water Rescue and experienced guides navigate through the system showing you points of interest and share local folk lore tales. Our courtesy staff carries your luxury tube to the cave river entrance.here we get in the transport and head to Altun Ha.A classic Maya site, Altun Ha "Water of the Rock" is known as a Ceremonial and Trading Center. Discovered here is the largest carved Jade Head, also found here are 2 plazas with 5 major Temples, and a middle class residential zone. Temple architecture designs symbolize the 13 levels of heaven and 9 levels of the Underworld. the Temples staircases are flanked with huge mask of gods. Excavations revealed rich finding in these red painted priestly tombs, mosaic jade mask, flint tools, obsidian points, modified elongated human skulls, vessels used in blood offering rituals and carved manatee bones. 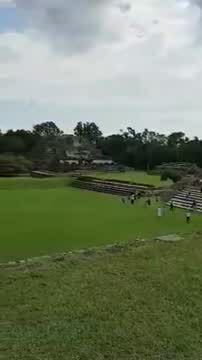 Climb to the top of the Sun Temple to view the sacrificial altar and take in the amazing panoramic view. V.I.V. Tours guides are trained and certified in wilderness and swift water rescue by Rescue 3 international, holders of Tourist Guide Licenses issued by the Belize Tourist Board, Our Equipment are the newest in the industry, For Comfort our Luxury type tubes are spacious 53 inches in diameter, with mesh seat bottoms and head rest, For SAFETY all tubes are equipped with all around tow rope and easy quick release links to provide safety, comfort and style, designed by ViV.